Honsou travels to New Badab to take part in Huron Blackheart’s Skull Harvest, a deadly contest of arms where champions battle for new followers. Another story of Honsou, this was going to be the last short before he got to wreak some serious havoc on his old enemy, Uriel Ventris. With his calling card delivered in The Heraclitus Effect, Honsou now needed to gather his forces for the attack, and this story was his rallying the troops story. It felt right that he’d do it in the Maelstrom, as this place is a haven for troublesome types, and it gave me an opportunity to introduce The Tyrant of Badab, Huron Blackheart. I didn’t want Honsou’s army to be just Iron Warriors or other traitor Astartes, so this story was a perfect opportunity to sow seeds for future events and bulk up his forces with strange and weird allies. 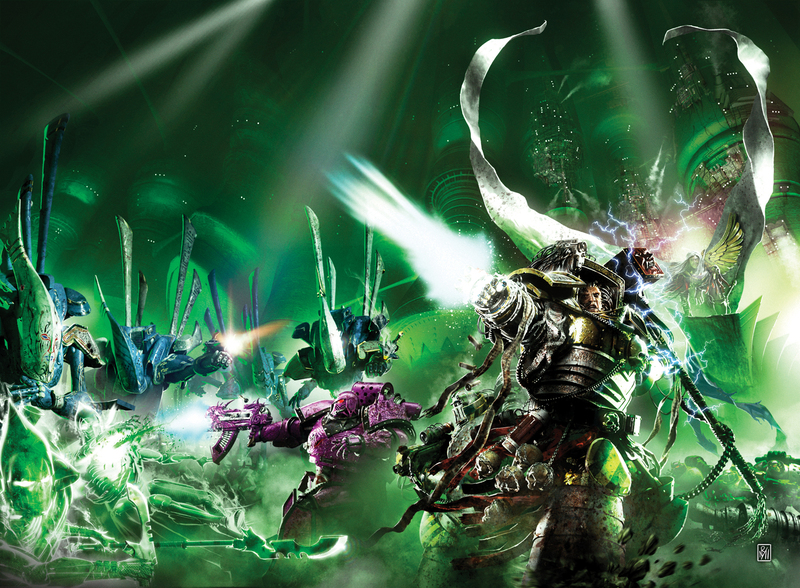 Aliens, renegades, psykers, battle machines…the lot. By the end of it, he has his army and fleet, a new clue to follow and some words of advice from Huron Blackheart. It was fun to write this one, and I felt the building excitement as I knew I was close to the final showdown between Uriel and Honsou.